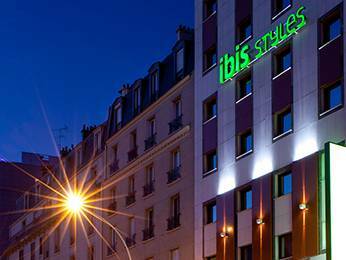 The 3-star ibis Styles Paris Porte d’Orléans hotel is perfect for business trips or family vacations. Its location near the Montparnasse district and Orly airport offers direct access to Notre-Dame via Metro line 4 from Porte d’Orléans and the Porte de Versailles exhibition center via the T3 tram. Our 115 stylish rooms are all air-conditioned and the rate includes breakfast and unlimited WIFI. The hotel also has a paying private car park, a play area and 2 meeting rooms.